Researchers at Nanyang Technological University in Singapore recently made an unusual discovery, which is that "the magnetic properties of living cockroaches are strikingly different from those of dead cockroaches." Place a living cockroach in a magnetic field and it'll become magnetized, and then stay magnetized for about 50 minutes. Place a dead cockroach in a magnetic field and it'll also become magnetized, but then remain magnetized for almost 50 hours. 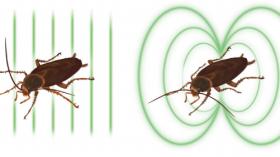 Cockroaches become magnetized because they contain magnetic particles that become aligned with an external magnetic field. These particles are trapped in a runny medium that has low viscosity in living cockroaches. 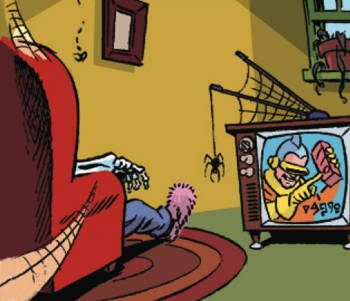 But as soon as the creatures die, the medium begins to harden and its viscosity increases. So I'm curious how strongly magnetized dead cockroaches become. Would it be possible to use them as refrigerator magnets? Who was the celebrity groom who wore this amazing outfit to his wedding? 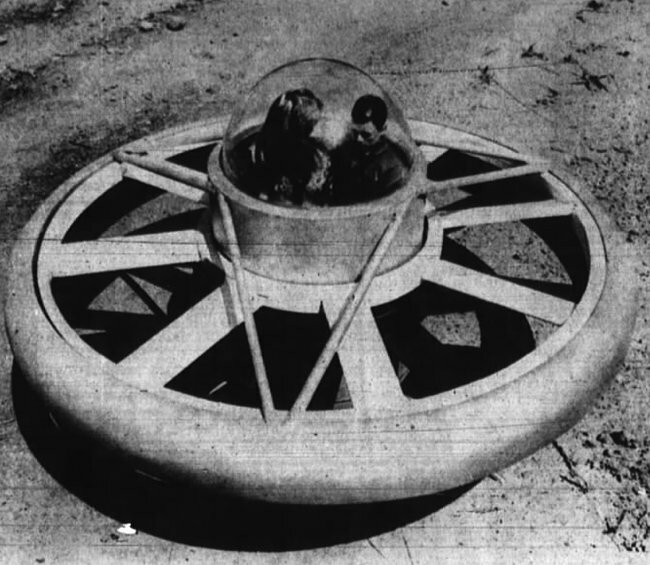 Back in 1974, David Heaton spent $50,000 pursuing his dream of building an "aerocommuter" -- a two-person flying saucer that would "cost no more than a medium-priced American car," thereby allowing everyone to fly to work. He claimed to have all the engineering problems worked out, but it doesn't sound like one of these things ever managed to leave the ground. Try to guess where Honeck's stint places him in the Top Ten "Longest Times in the Stir." "America's Top Fortune Cookie Writer Is Quitting Because of Writer's Block" (Time magazine, 2-3-2017). 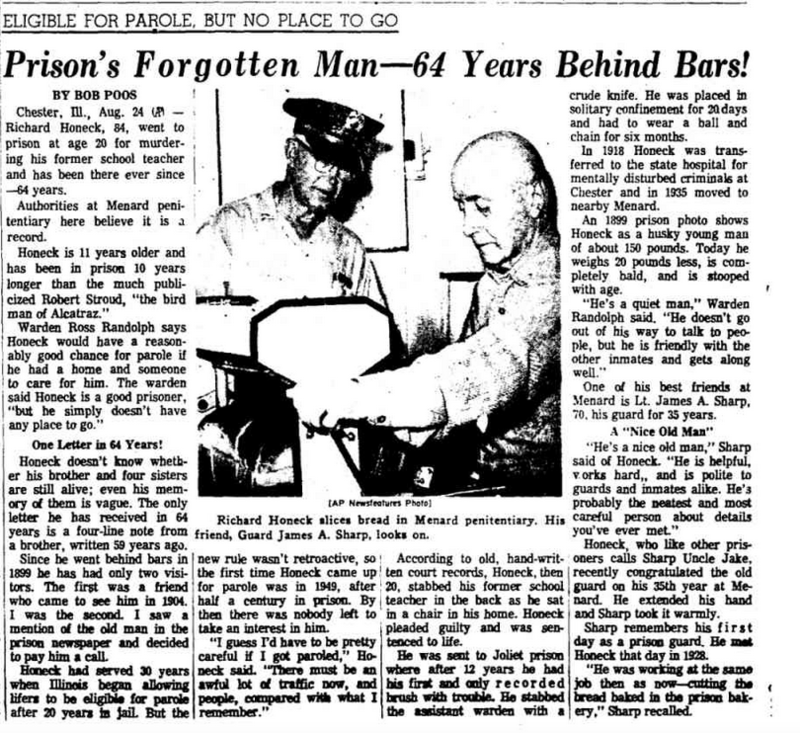 "Vaginal Pain Helps Exonerate Man Accused of Murder" (Miami Herald, 2-8-2017) (emergency medical technicians treating his sister corroborated his alibi). "Dresden Protest Against Anti-Islam Pegida Group Banned Over Snowball Fight Fears" (The Independent (London), 1-24-2017) (previously in Dresden, Germany, religious-freedom demonstrators chose "tossing snowballs" as appropriate for ridiculing Pegida). Thanks This Week to Stan Kaplan, Vernon Balbert, and Harry Thompson, and to the News of the Weird Board of Editorial Advisors. 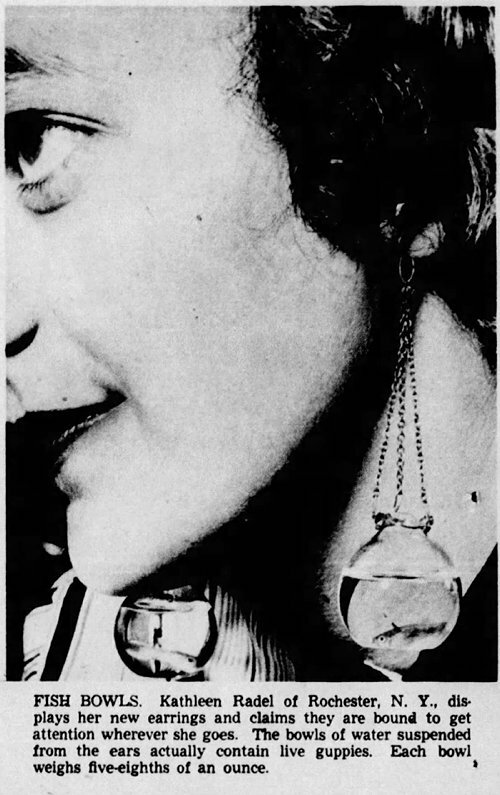 In 1954, Kathleen Radel created fish bowl earrings containing live guppies. 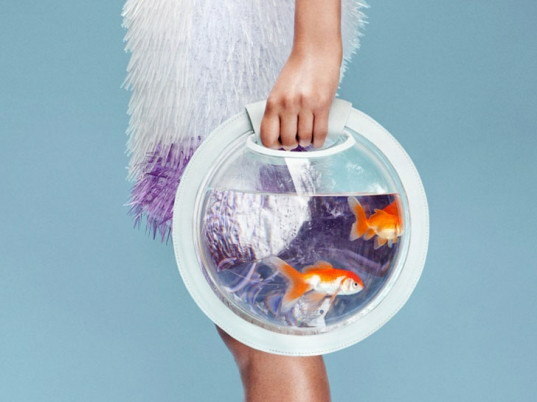 More recently, London fashion designer Cassandra Verity Green included a goldfish handbag in her "Neptune's Daughter" collection of knitwear. 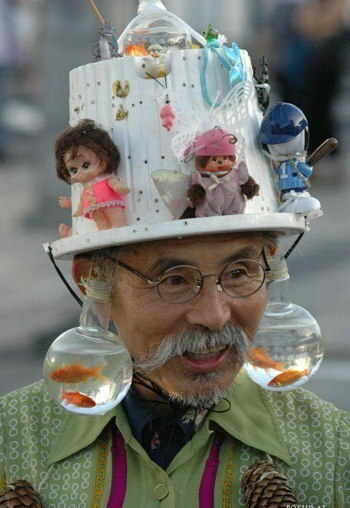 And finally, there's the Japanese artist Eijiro Miyama who's known for riding around on his bicycle wearing, among other things, fish bowl earrings that contain live goldfish. 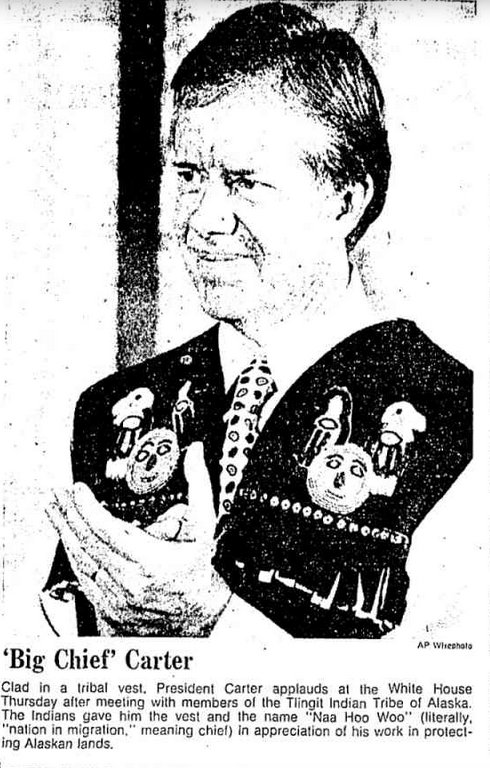 What a blatant instance of cultural appropriation! 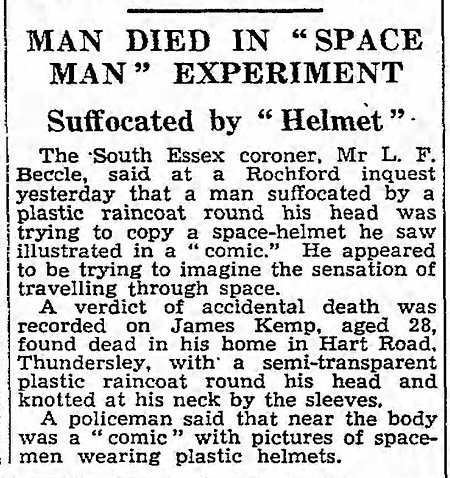 a man suffocated by a plastic raincoat round his head was trying to copy a space-helmet he saw illustrated in a "comic." 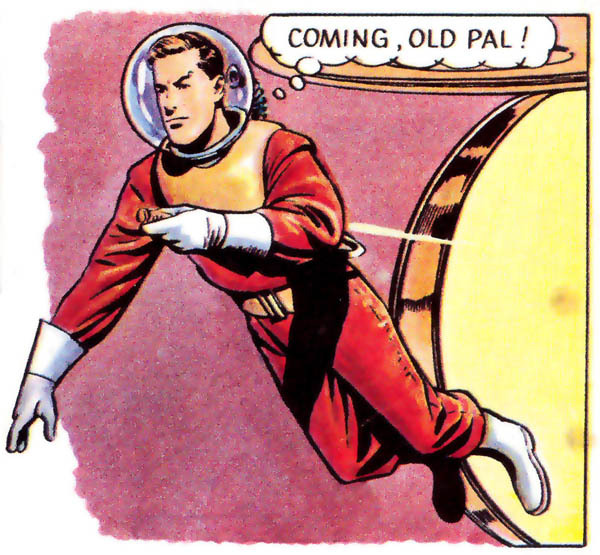 He appeared to be trying to imagine the sensation of travelling through space. 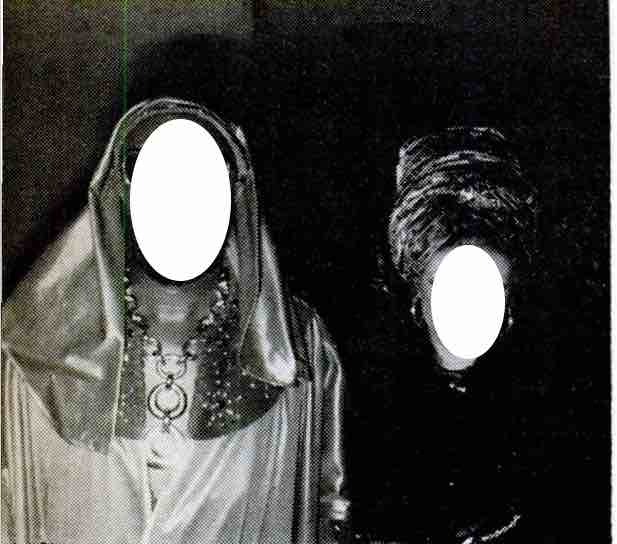 See here for a previous example. Although the tune is fine, the lyrics are the thing here, and they start around 2:20. 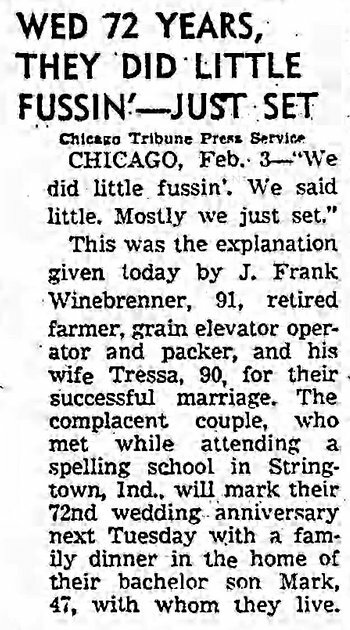 February 1954: J. Frank Winebrenner, wed 72 years, when asked what the secret to his successful marriage was, replied, "We did little fussin'. We said little. Mostly we just set." 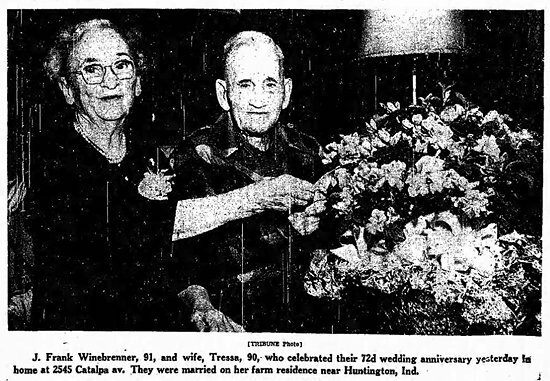 Looks like Frank died in March 1955 and Tressa in 1956. They're still "setting" together, saying little.